Our long-standing environmental commitment is what brings us closer to the world around us. With an ever-increasing focus on global warming, conservation and sustainability, it is more essential than ever that we all do our part to keep our water clear and our sky blue. That's why Hurst is blue and green. 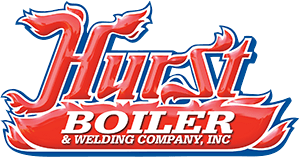 The mission at Hurst Boiler & Welding Company includes a commitment to enhance the quality of life in all areas we serve. Consistent with this mission, the company vows to improve the compatibility of its operations with the environment. This commitment represents what Hurst does to make our products as good for the environment as they are for the places we live and work. Being green is always part of Hurst blue - and we put a touch of it in every boiler and system we make. In addition, through our products and technologies, Hurst aspires to transform the way buildings and communities are designed, built and operated, enabling an environmentally and socially responsible, healthy, and prosperous environment that improves the quality of life not only for ourselves, but for our customers and their businesses as well. Utilizing HURST Biomass Boiler Systems can reduce, or even eliminate energy and disposal costs altogether, through the combustion of renewable fuel sources, also known as Biomass. Energy solutions based on biomass and bio-fuels provide clean and renewable energy for large national and international companies. Green-thinking companies are now using biofuels to mitigate the impact their activities have on the environment by reducing emissions of greenhouse gases. This can also generate earnings by saving money on energy costs, and by the sale of carbon credits. As the overall market sets on the path of environmental sustainability and energy costs continue to increase, industry leaders are striving to find economically viable solutions. The implementation of energy efficient and sustainable technology will be necessary to maintain a competitive advantage. At Hurst Boiler, we are committed not only to our own environmental sustainability, but to providing successful strategies and technology which can reduce the operational costs of current facilities and provide an ROI from installation in new construction, for all our customers. - Includes environmental factors as an integral part of its planning and operating decisions. - Recognizes the contribution every employee can make to improve the company's environmental performance and encourages employees to become environmental stewards. - Communicates and reinforces environmental values throughout the company. - Practices responsible environmental stewardship of all company-owned properties and natural resources entrusted to its management. - Minimizes adverse environmental impacts of operations by: meeting or surpassing environmental standards, investing in energy efficiency measures, and supporting company recycling and waste reduction programs. - Supports research and implements new technologies for emissions control, energy efficiency, renewable energy resources, and other environmental and health concerns associated with our own, and our customers utility operations. - Accepts accountability for its operations by responding to environmental incidents quickly and effectively and promptly informing the appropriate parties. - Provides public participation opportunities and welcomes communication from stakeholders on environmental issues; and continues to foster constructive working relationships with environmental organizations, community leaders, media and government agencies. - Participates with government and others in creating responsible laws and regulations to safeguard the environment, community and workplace. - Commits employee and management resources to support and implement these principles. Hurst encourages environmental stewardship through our support of the U.S. Green Building Council's LEED program. Our products may offer LEED® credits in the Green Building Rating System for New Construction and Major Renovation. "LEED" is a registered trademark of the U.S. Green Building Council. To protect our natural resources, Hurst uses wood harvested from managed forests and leverages engineered wood technology whenever possible. Hurst recycles whenever possible - office paper, sawdust, scrap metal, paints and solvents. Our electrostatic paint system attracts the paint, creating much less waste. And we keep packaging to a minimum to reduce construction debris. Hurst supports aggressive programs to both recycle material and use recycled materials in order to cuts tons of landfill waste each year.